Fantastic news for all players residing in Canada, New Zealand, Finland, Norway, Germany and Austria! Join Twin Casino and get 20 free spins in the Sticky Bandits video slot on the house – No Deposit Required! Make sure to load your revolver and put on your cowboy boots – Quickspin’s Sticky Bandit is a great Wild West Gunslinger slot! This offer is only available until the 30th of April 2019. Click here and sign up your account at Twin Casino and collect your 20 No Deposit Spins in Sticky Bandits! Get a Welcome Bonus Package worth up to €/$200 + 100 Free Spins at Twin Casino! 1st deposit: 100% deposit match up to €/$100 + 50 Free Spins in Dwarfs Gone Wild if you deposit €/$50 or more! 2nd deposit: 100% deposit match up to €/$100 + 50 Free Spins in Dwarfs Gone Wild if you deposit €/$50 or more! 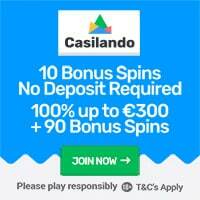 – The minimum deposit for both deposit match bonuses is €/$20. – The deposit match bonuses are subject to a wagering requirement of x40. – Winnings from the free spins are subject to a wagering requirement of x35. – Deposits made using NetEller or Skrill does NOT qualify for the welcome bonus package. 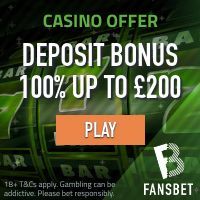 Click here and join Twin Casino and get 20 No Deposit Spins and more as a new member! « Cashback Wednesday at BCasino!